transformational joint solutions for your enterprise. ASG Technologies brings peace of mind to every enterprise with information access, management and control for our customers. These solutions empower businesses to enhance workforce productivity, gain an accurate and timely understanding of the information that underpins business decisions and address compliance needs with improved visibility of cross-platform data from legacy to leading edge environments. More than 70 percent of global Fortune 500 companies trust ASG to optimize their IT investments. 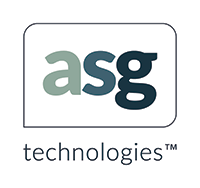 ASG is a global provider of technology solutions with more than 1,000 people supporting a more than 4,000 midmarket and enterprise customers around the world. and consulting partners who help government agencies select and implement the best solution at the best value. immixGroup, an Arrow company, is a value-added distributor that helps technology companies do business with the government. immixGroup enables IT manufacturers and solution providers to grow their public sector business while offering government agencies reliable access to enterprise software and hardware products. Inpixon Federal provides rich positional information like GPS and browser-like intelligence for the indoors through Indoor Positioning Analytics. All establishments including airports, shopping malls, office buildings, government agencies can provide greater security, gain better business intelligence, increase consumer satisfaction and reduce risk with Inpixon’s IPA technology. Intact implements transformational IT Operations Management solutions focused on helping customers execute their vision and get credit for the value they create.As an organization, Intact specializes in HPE Software integrations with third party vendors such as BMC, and ServiceNow, enabling customers to accelerate profitable growth and efficiency. Securonix radically transforms enterprise security with actionable intelligence. Our purpose-built security analytics platform mines, enriches, analyzes, scores and visualizes data into actionable intelligence on the highest risk threats to organizations. Using signature-less anomaly detection techniques, Securonix detects data security, insider threat and fraud attacks automatically and accurately. Visit www.securonix.com. SIE assists Federal Agencies on reducing duplicative and wasteful spending within their IT portfolio through software license optimization and targeted strategic sourcing. CIOs face cyber security threats, budgetary pressures, and an increasingly complex environment. SIE helps them define a path forward by leveraging best-in-class processes, tools, and approaches to engage internal stakeholders and the vendor community.